Server fleets are shrinking as data centers move workloads to the cloud. IT administrators must carefully consider use cases for different server systems to get the most value and best performance out of increasingly specialized deployments. Admins must avoid creating server I/O problems as they consolidate and streamline their server systems. It's difficult to know how many VMs can reside on a server because different configurations use different amounts of memory space and processor cores. A good guideline for server selection in this regard is to keep in mind that a server with more memory and processor cores will generally offer more VMs and better consolidation. More consolidation is possible for organizations willing to consider blade servers or hyper-converged infrastructure systems. For further optimization, admins must consider the effects of network limits on server I/O. Enterprise workloads are almost constantly moving data and accessing storage, but if numerous VMs share the same low-end network port, network bottlenecks can strangle server I/O performance. 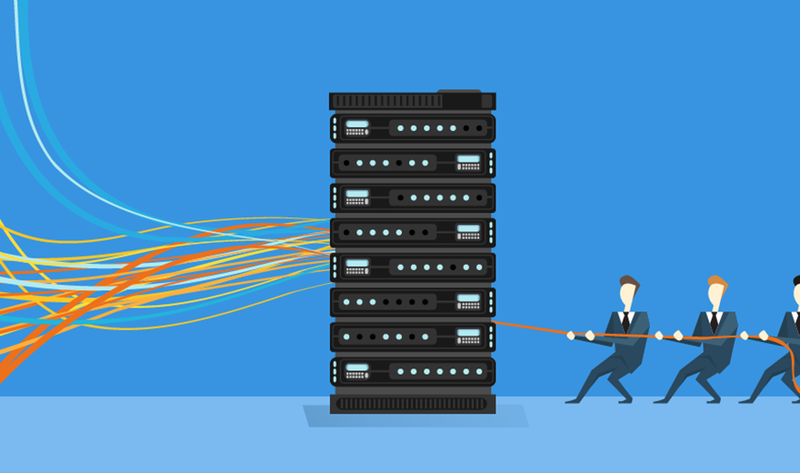 A faster network interface can greatly improve server consolidation. Generally, this is possible through either a 10 Gigabit Ethernet (GbE) port or by choosing a server with multiple 1 GbE ports. What best practices do you use to boost network speed?